With an unparalleled mix of the world’s top theme parks built by renowned brands such as Universal and Disney, warm weather, and the proximity to the beach(s), Orlando, FL has been named the #1 spring break destination by AAA in 2018. Nearly 3M visitors are estimated to travel to Orlando during the 2018 spring break season, which kicks off the week before Easter and continues through the second week of April, according to Visit Orlando. With mom and dad working fulltime in 50%+ of two-parent households in the US, families seek the precious downtime they have together for a shared experience like no other. When a family makes the decision to use their time off together over spring break at a theme park, that decision is anything but logical; it is emotion driven. A family of four will easily pay$3,600+ for two days at Universal Studios for that promised magical experience that goes beyond the screen, behind the scenes and jumping into the action of favorite films that only Universal Studios can deliver. Customers will not think twice about the steep price tag it if their expectations are met. When those expectations are not met, watch out. The emotional rath is not pretty and in seconds, will overshadow the positive moments. Here are some helpful takeaways from our family’s recent experience at Universal Studios we can all benefit from to improve our own customer’s brand experience. A brand is so much more than the logo created at corporate. Consumers today view a brand as one holistic experience created by the behaviors and values delivered by employees at all levels across all touchpoints. A customer’s initial interaction with a brand can begin anywhere at any time at their discretion through a multitude of touchpoints which include online, in person, through a phone call or authorized partnerships. The first touchpoint for a family planning their first Universal Studios trip could be Universal Studio’s website, reviews from their trusted social network who have first-hand experience or the guidance received from the concierge at a local hotel. A customer views each of these touchpoints as one Universal Orlando brand experience. Any dissatisfaction a customer experiences like a bitter dining experience at the Toothsome Chocolate Emporium & Savory Feast Kitchen located in the Universal CityWalk quickly overshadow the positive experience(s) the magic of Harry Potter created, potentially disrupting the customer journey, leaving a lasting impression of the Universal Studios brand. Edelman, a global communications firm, defines a brand as “The Earned Brand’s story is not simply told, it is demonstrated and experienced; and, to do that, brands can’t operate with a style guide alone. The Earned Brand has a worldview and a belief system, a purpose and a reason for being — one that defines not the communications, but how the brand behaves online, offline, and in all contexts. An expressed set of values informs which products are made, which language is used, how customers are treated, and ultimately the legacy the brand leaves in the communities it serves”. With time arguably the most prized commodity, customer’s expectations for frictionless and fast experiences are being set by small, everyday interactions that are easy to overlook like Universal Studios offering a complimentary poncho for children with a cast so they too can safely experience the thrill of the 84-foot plunge on the Jurassic Park ride. While providing a poncho may seem minor, these moments are what define a brand experience. A Harvard Business Review article titled “The Truth About Customer Experience” found most customers weren’t fed up with any one particular phone call, field visit, or other interaction — in fact, they didn’t much care about those singular touchpoints. What reduced satisfaction was something few companies manage — cumulative experiences across multiple touchpoints and in various channels over time. Delivering at scale on customer journeys requires two high-level changes: (1) modifying the organization and its processes to deliver excellent journeys, and (2) adjusting metrics and incentives to support journeys, not just touchpoints. Understanding how consumers are interacting with a brand across multiple touch-points such as a website, physical, mobile, or social media is a necessary step for providing the personalized experience consumers have come to expect. Despite best efforts, mishaps will occur, resulting in poor customer experience. All is not lost; these priceless moments are an opportunity to create a long-lasting customer relationship resulting in brand loyalty at just a fraction of the cost of a paid advertisement. The time spent merely listening and hearing out a customer share their frustrations is a priceless opportunity for a brand to improve and the customer will appreciate being part of that journey. 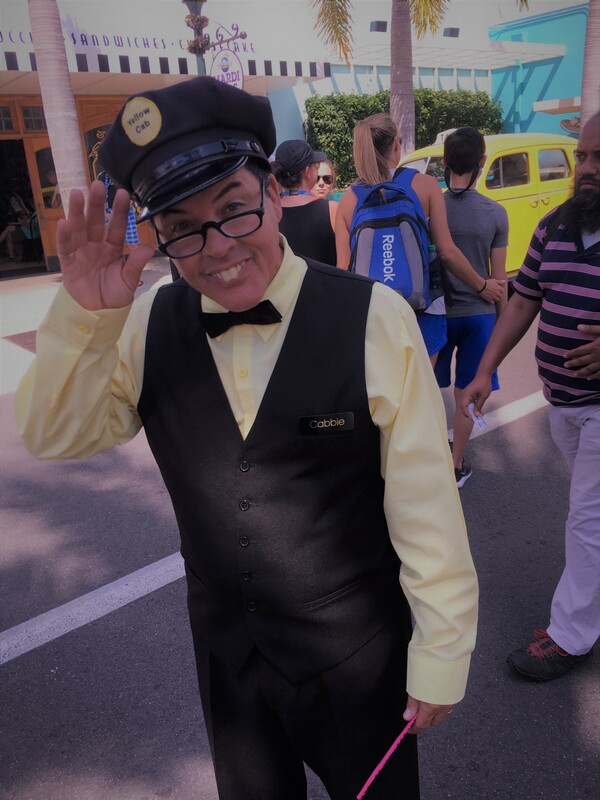 A visiting guest at Universal Studios recently contacted customer service to share their disappointment with some aspects of the family’s first-time visit to Universal Studios. While the situation initially seemed like a permanently lost customer, it was quickly turned around by the time and genuine interest exhibited by customer service. As a result of how the call was handled, the customer felt the feedback was not only heard, it was valued. With a deeper emotional connection to the Universal Studios brand, the family already has plans in place to return on their dime and is looking forward to experiencing Fast and Furious Supercharged! The best marketing campaign or incentive will be hard pressed to drive this level of brand loyalty. With consumer trust at an all-time low, traditional marketing methods are no longer enough; we as consumers now turn to our trusted social media networks for information as credibility with traditional sources continues to drop. For a brand to form a connection with its’ customers and community, consumers want to see an authentic voice online. Blogs, social media and sharing of customer reviews now matter more than ever. Be transparent and engage in real conversations with clients and ask them what is and is not working. A consumer study developed by TurnTo called “Hearing the Voice of the Consumer,” was recently conducted by Ipsos. The study examined what motivates shoppers, how they prefer to shop and the impact and influence user-generated content (UGC) plays in shaping the consumer experience and building long-term engagement once a purchase has been made. User-generated content (UGC) is defined as ratings, reviews, photos, videos, social posts and Q + A participation. Results from the study showed 90% shoppers report UGC influences their decisions to make a purchase, outranking all other forms of marketing including search engine and promotional emails. 81% of consumers are also willing to pay more and wait longer for products paired with UGC. While who and what your brand is and stands for can be created at the corporate level, your brand is what the marketplace says it is. Your brand must form a connection with your audience. That connection is based on trust, and your brand earns trust when it delivers an honest and transparent experience consistently. If you lose touch with the very people who buy or engage with your product or service you will lose your customers. People will engage with the brands they identify with and share values with. I have been fortunate to be part of a remarkable organization for the last 25 years that places people at the center of everything we do, not only supporting its employees but dedicated to the communities in all areas we do business. At Cox, giving back is a vital part of our culture. We are guided by a simple belief: Do the right thing for our employees, our customers and our communities. We do this in three ways: volunteerism through Team Cox, ensuring diversity in our workforce and sponsorships, corporate giving, and through The James M. Cox Foundation. Through partnerships with leading organizations such as American Rivers, Ocean Conservancy, the Trust for Public Land, 100 Black Men of America, the National Urban League, the League of United Latin American Citizens, the Asian & Pacific Islander American Scholarship Fund and Human Rights Campaign, Cox Enterprises seeks to create lasting change for a sustainable future. In 2016 alone, more than 5,400 Cox Automotive team members participated in volunteer projects. Employees, together with their family and friends, donated more than 60,000 volunteer hours benefiting more than 700 community organizations. To support the team members impacted by unforeseen circumstances, the Cox Employee Relief Fund (CERF) was created to aid employees across the company affected by natural disasters. CERF has assisted more than 1,500 people affected by hurricanes, tornadoes, wildfires and other devastating events. Passionate about people and look for new ways to make lives' just a little easier.